Recipes, games, and other fun things to do! Thinking about going camping in your backyard? Backyard camping is a fun, no-pressure, low-stakes, low-cost way to have fun as a family. And while it requires very little planning and preparation compared to regular camping, you still want to do a little bit of prep work to make your "trip" a success. Good camping food: Sure, you could whip something up in the kitchen and bring it outside (and truly, there is nothing wrong with that!) but it is a lot more fun and authentic if you cook outside. Be very aware when you are cooking on your backyard camping trip. Your preschooler probably isn't used to being so close to this open heat source, whether it is a campfire or a camp stove. Talk about fire safety and how he or she should never go near where the cooking is going on without a grown up. Set up an obstacle course. How long does it take each person to complete? Play flashlight tag or hide and seek. Pair up so your preschooler isn't alone! Have one person set up a scavenger hunt ahead of time for the others. Have a beanbag or horseshoe toss. Run a series of relay races, such as three-legged races, and over-under relays. Haul out board games and have a tournament! Go on a hike through your neighborhood. Have a joke telling contest. Put on funny skits for each other. Take turns telling stories. One person starts and then after a set amount of time, the next person picks up the tale. Sounds like fun, right? 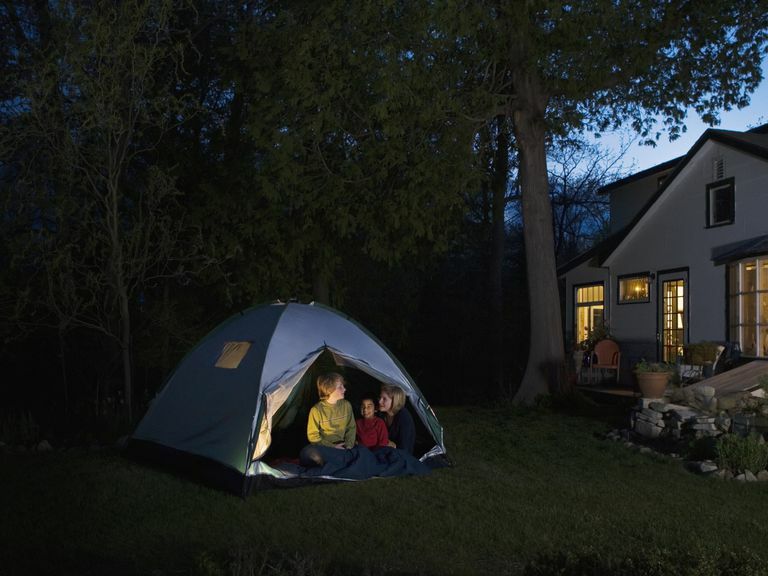 Is your family ready to take the backyard camping plunge? Start by participating in a nationwide event! Each year, the National Wildlife Federation hosts the Great American Campout, a summer-long celebration as well as Great American Campout Day. What Kinds of Enrichment Activities Can Preteens Do?